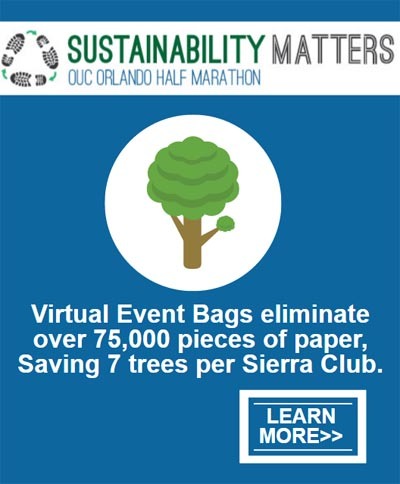 The OUC Orlando Half Marathon is green! In lieu of handing out a race packet full of paper coupons and flyers, an e-Race Packet will be emailed to all half marathon and 5k participants! This email will be packed with offers, coupons, and promos. Businesses- Be a part of the e-Race Packet! • Easy to set-up and gives you flexibility to work at your own pace. • Over 6,500 Registered participants receive the e-Race Packet by email along with other important race information before and after the race.